Made in the Philippines by Ricardo M. Valiente. 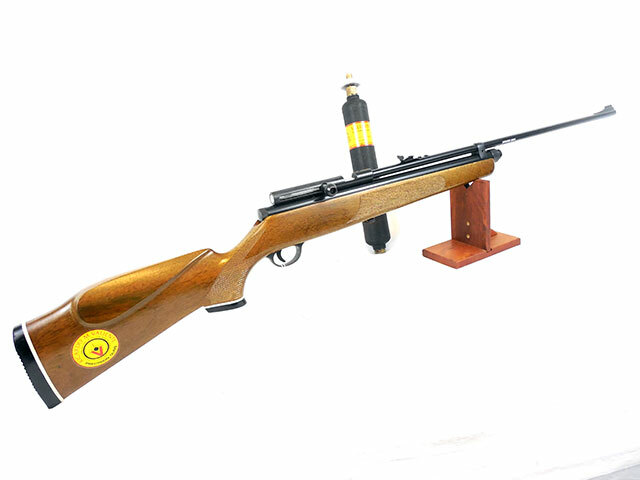 This is a very high quality pre-charged C02 single shot air rifle. 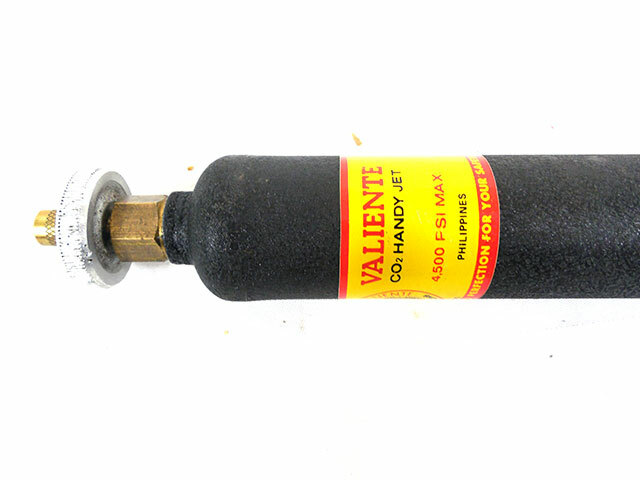 Overall length is 43 ½”. Weight is about 6-7 lbs. 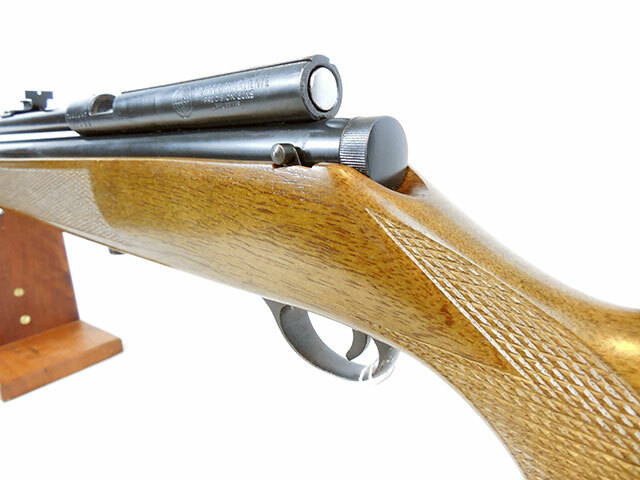 It is a nice light weight full sized rifle. 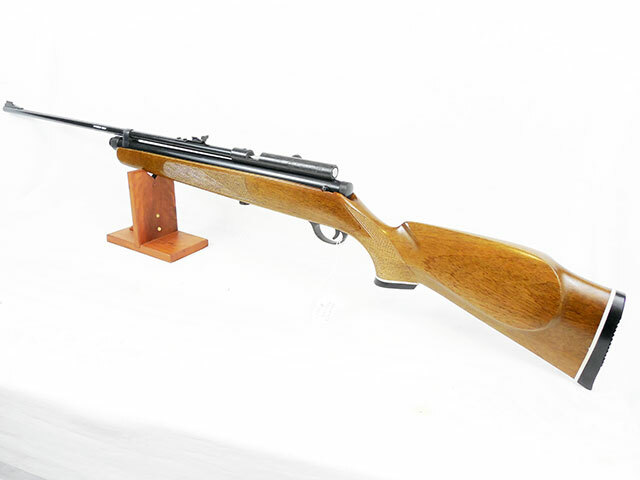 It features a nice hardwood stock, automatic safety and scope rails on the receiver. 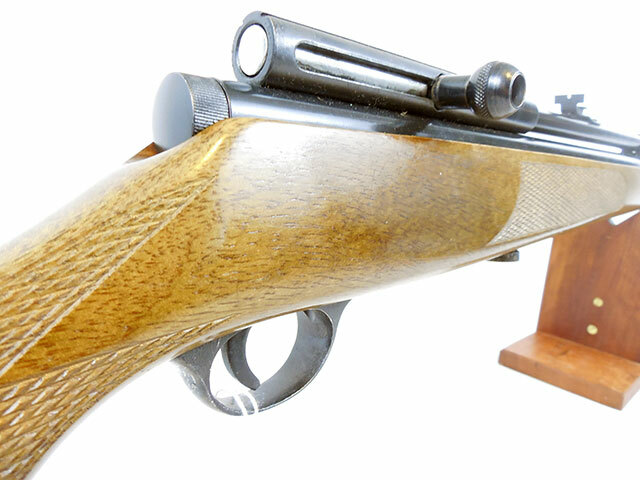 The gun is in excellent condition with very minor light general wear. It shoots and holds air indefinitely Velocity was test at about 550 fps. The original bulk fill tank is included. This bulk fill tank must be shipped empty to comply with shipping laws. I hate to sell this rifle but I can’t keep them all. This is a very unusual, quality piece. I am sure you will enjoy it.